One of my very favourite book discoveries last year was Alice Melvin’s exquisite The High Street. If you enjoyed Melvin’s stunning illustrations as much as we did here at Babyology, then you will adore Alice’s Emporium. 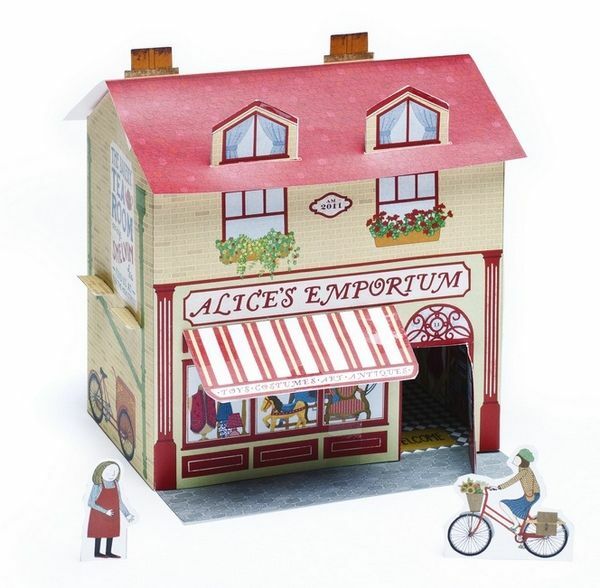 Alice’s Emporium is flat-packed High Street fun. 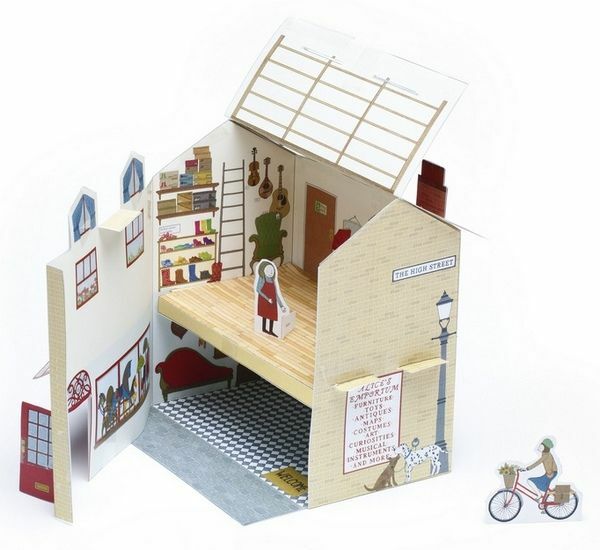 Each set contains a die-cut self-assembly shop featuring Melvin’s beautiful illustrations both inside and out. Also included are five perforated sheets of characters, furniture and toys that can be pressed out and assembled to bring Alice’s Emporium to life. Best yet, the set includes sticky Velcro dots, so no glue is required. Alice’s Emporium is available from the Tate Modern Shop for £9.95. The Tate Modern Shop ship to Australia. See our previous post on The High Street here.